Freddy’s Best from Dutch Passion are feminised cannabis seeds that are originated by crossing Chocolope x Dutch Haze x Sativa/Haze. These cannabis plants are the favorite of the real Sativa fans because of her dominant Sativa genetics. 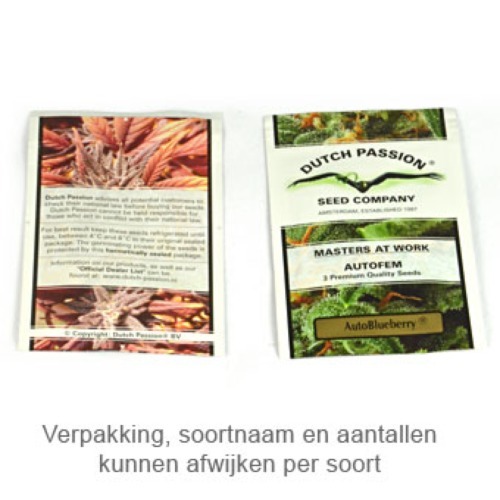 Dutch Passion Freddy’s Best cannabis seeds are suitable for indoor and greenhouse grow. These cannabis plants are known because of her large-scale production of close dense solid buds and very powerful cannabis. The effect of smoking this weed is an intense and long-lasting high, which starts after a few minutes and thereafter become more violent. Growing cannabis with this feminised cannabis seeds generate a nice yield of very strong weed. Tell us and our customers what you think of the Freddy's Best from Dutch Passion.